These little guys are a full 8 days earlier than last year. 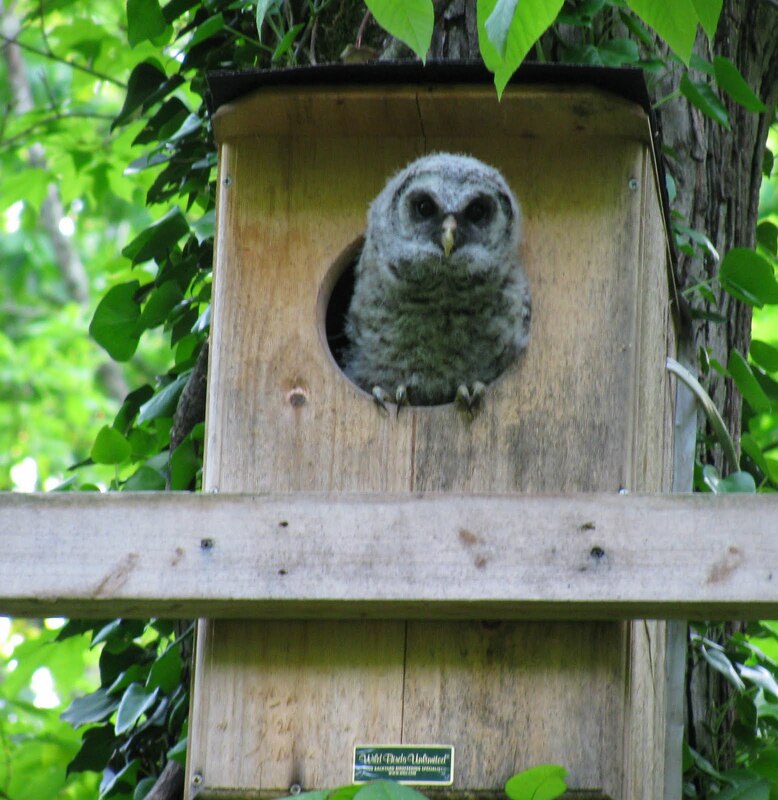 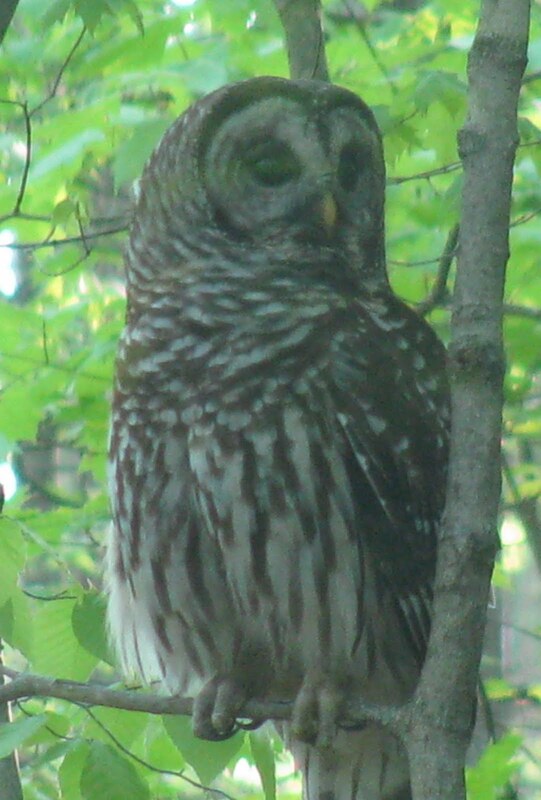 Generally, we look to Mother's Day for our Barred Owls to fledge... but the wonderful weather has allowed Mom and Dad to be able to provide very well for these chicks. 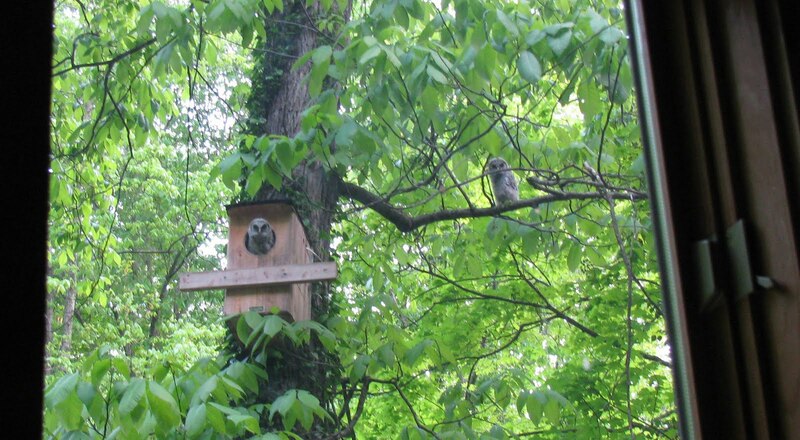 We have seen them taking in LOTS of Chipmunks - and that is perfectly fine with us! They sit in this one tree and then off they go up the hill to catch some food for their babies. 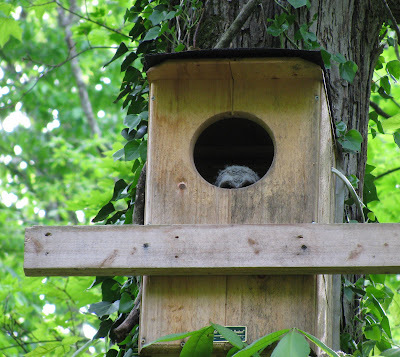 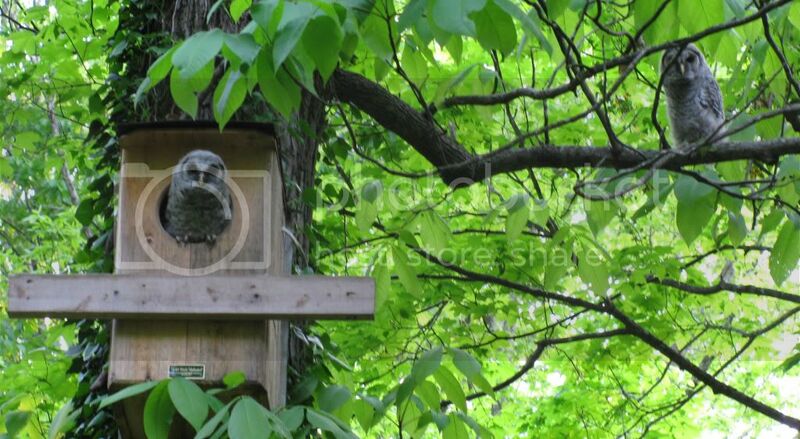 One little Owl peeking at me from the safety of his ~up to this point~ world. Occasionally, I would see some fluttering in the background or another little rounded head jumping up behind him... but for the most part - just the top of his head and eyes. And his sibling was adjacent to the box on a branch!! 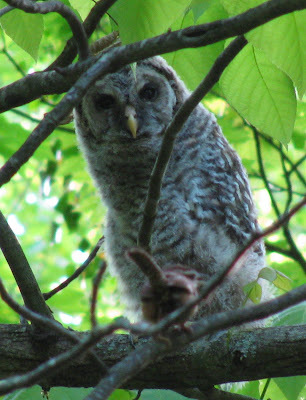 VERY BRAVE!! 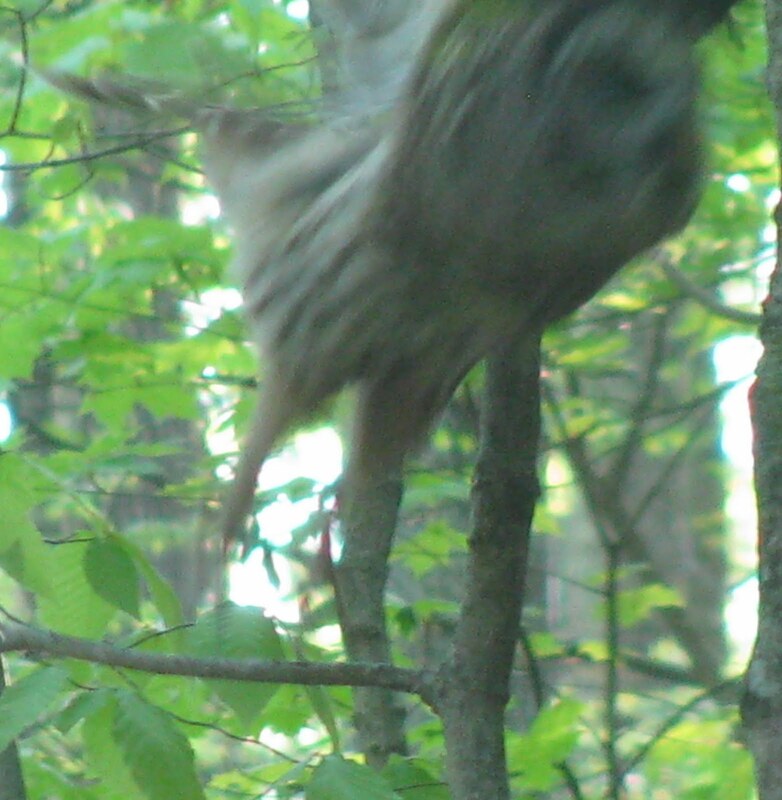 Look at the Carolina Wren in the forground of this picture -- talk about brave! She does not want this mean ol owl anywhere near her nest site.